Have you found it a challenge to obtain dependable information about medically treating Low T? Do you wish you knew how hormone replacement therapy (HRT) doctors answer critical questions such as is testosterone cypionate safe for most men to use? Adults who have developed Low T symptoms certainly have more than their fair share of challenges to deal with; but finding out how to safely and effectively eliminate their Low T symptoms doesn’t have to be one of them. At Nexel Medical, our doctors specialize in providing patients with the treatment programs that have been proven to restore deficient testosterone levels – and our filly licensed medical practice is staffed by professionals who are always available to provide answers to adults who have questions about using this form of HRT. The way we see it, questioning the relative safety and effectiveness of any medical treatment or procedure before deciding to use or have it performed is a basic component of the due diligence that all patients should practice. As ethical and compassionate medical professionals, we encourage our own hormone replacement therapy patients to always question anything that they don’t understand in regard to their individual programs of treatment. And for the same reason, we believe that it is our professional responsibility to do the same for any adult who is considering the use of injectable testosterone replacement therapy for their Low T symptoms. And the answer to a question that many adults ask – one that all adults should ask – which is wanting to know is testosterone cypionate safe to use is this: If our doctors were not totally convinced of its safety and effectiveness, they simply would not prescribe it. They are convinced of this because it has been in medical use for decades and has had ample time to establish its therapeutic merits. It has been consistently shown, through years of scientific research, clinical trials and actual patient use, to be both highly effective and low risk. So at Nexel Medical, our doctors feel extremely confident that when appropriately prescribed and properly supervised by a knowledgeable and experienced HRT medical professional, injectable testosterone cypionate is extremely safe for adults with Low T to use. What Are the Reviews on Testosterone Cypionate’s Effectiveness? We have just alluded to the two key components of testosterone cypionate’s effective and safe use, and they are (1) that it is being used only by patients who have clinically verified male hormone deficiency symptoms and test results and (2) that it is being used in compliance with the recommended medical protocols, supervision and testing. No doctor in the US can accurately respond to the question of is testosterone cypionate safe for me to use unless these two key components of its medical use have been applied to the answer they give any prospective patient. In fact, the use of powerful pharmacological substances such as bio-identical testosterone cypionate without the appropriate medical need and supervision is reckless. Self-injections of supplemental male hormone must only be administered under the medically correct circumstances in order for them to be considered a safe and effective treatment for Low T. Do some adults, particularly those within the realms of bodybuilding and competitive athletics, use substances such as testosterone cypionate for the purpose of performance enhancement rather than as a medical treatment? Regrettably, some do. However, any adult who decides to use hormones and steroids illegally and without medical approval does so at the risk of reducing their own health and longevity. Yet when used correctly, injectable TRT (testosterone replacement therapy) is very effective at restoring healthy balance to an adult male hormone levels which in turn results in producing a variety of health and fitness benefits. Not only is testosterone cypionate safe and effective for adults with symptomatic male hormone deficiency, it could be seen as safer than the health risks that are associated with leaving Low T levels untreated. Having chronic Low T is a medical condition that has been shown to be a contributing factor in developing obesity, depression, muscle loss, reduced bone density, and other health problems. Its most widely known symptom, which is the loss of sexual desire and the ability to get and sustain erections, has eroded the lifestyle satisfaction of thousands of men – and their partners. So in terms of its ability to eliminate the very troubling and unhealthy symptoms caused by Low T, our doctors know that the use of medically prescribed testosterone cypionate injections is extremely effective. They also know that in terms of helping to keep adult males with Low T healthier and more vibrant as they age, this treatment is equally effective. That makes it a win-win situation for our TRT patients. Can Your PCP Prescribe Injectable Testosterone Cypionate? As a properly credentialed and licensed medical doctor, your PCP (primary care provider) would be legally allowed to prescribe testosterone cypionate for any patient who is clinically qualified to use it. However, many PCPs and family practitioners refer their patients with hormonal issues to endocrinologists and other hormone medical specialists for testing and treatment. This is because of the highly specific nature of diagnosing and treating adult-onset hormone disorders like Low T; many general practitioners simply lack the experience and training that is required for the successful treatment of these types of endocrine disorders. They often also have difficulty answering questions such as is testosterone cypionate safe for adult patients with Low T to use because they may have never prescribed it. It is far more likely that they may have prescribed a topical form of Low T treatment (the gels and creams you’ve seen advertised); some doctors will even prescribe these based on symptoms alone, and without performing the recommended blood testing. But just because they do not require injections does not make these topically applied medications for Low T safe or effective for anyone to use without having first undergone the blood test that measures a patient’s available testosterone levels. The proper medical protocols for using TRT have been established by the medical community and they are clear. A factually correct answer to the question of is testosterone cypionate safe to use has to be qualified by including that the consistent use of these essential TRT treatment protocols must be practiced. It is not safe to use any form of TRT without following them. Is Learning How To Use Testosterone Cypionate Injections Easy? You can learn everything that you need to know about using testosterone cypionate injections safely in just a few minutes; most men find that the easiest way for them to learn is by watching an instructional video like the one that Nexel Medical provides for our patients. In our video instructions we explain the steps, while also demonstrating them, exactly how you should prepare and administer your prescribed injections. It’s not at all complicated, but using the proper techniques is important. Typically after going through the process one or two times, most men find it fast and easy to do; and because testosterone cypionate is the longest lasting form of injectable treatment for Low T, that means that it requires using the fewest number of injections. Just a few times each month during your treatment cycle, you will inject yourself with the dosage that has been prescribed for you. A normal cycle of treatment runs for approximately six months, followed by a period of using no treatments. 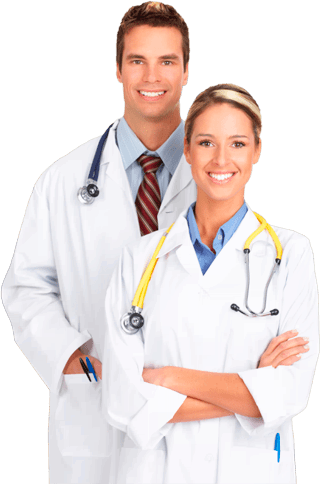 However, your Nexel Medical doctor will be prescribing your treatment program based on your personal requirements, so this can vary in the interest of ensuring that the answer to is testosterone cypionate safe and effective has been considered on an individual patient basis. And as a Nexel Medical TRT patient, you can also be assured that whenever you require personal assistance, whether it is with administering your injections; with experiencing side effects; or getting answers to any questions that might arise regarding your Low T treatment, you will receive it. Our clinical advisors are always available to you whenever you need help or advice on any aspect of your male hormone replacement therapy because we want our patients to feel safe and confident about their medical treatment. So if you would like more information about the safety of using testosterone cypionate injections, just call us and speak to one of our advisors. We are always happy to help and feel privileged to help adults with Low T symptoms regain their full potential for health and vitality.